Does your organization have trouble understanding project spending and the value being delivered? With more pressure on budgets than ever, many organizations are linking CA PPM (Clarity) and Financial Management. But getting started is not as easy as toggling a preference button. We'll walk you through it. 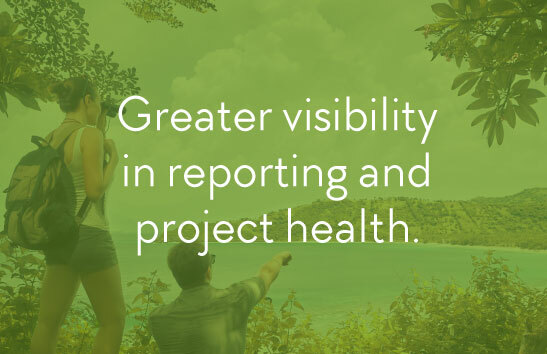 To show the value of Project and Portfolio Management (PPM), organizations are learning to link CA PPM (Clarity) and financial management for greater visibility into reporting and project health. Rego's expert guides have spent thousands of hours guiding customers through this process. Our free webinar covers what Financial Management looks like in CA PPM (Clarity). And our free white paper covers why and how to use Financials in CA PPM (Clarity). Access both below and keep an eye our for our upcoming Financial Management demo. This on demand webinar focuses on the What. Our expert guides will walk you through some of the tactical keys that link financial management to project spending, so you can see value. If you're ready to help your organization understand project spending, watch here. 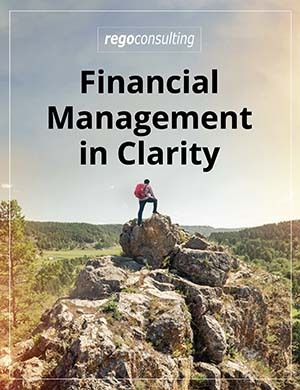 This white paper focuses on the Why and the How of successful financial management in CA PPM (Clarity). It gives you proven best practices laid out in 6 key steps you can take anywhere on your financial management journey. Join us live and in-person at RegoUniversity in San Diego Sept 29-Oct 2 and learn from the expert guides who deliver Clarity PPM and Agile services to 60% of Fortune 20 companies. Act now to save $300 on Early Bird Pricing. For a full list of Clarity Services, visit regoconsulting.com. Who has Portal Access? How Healthy are Jobs? Get the Latest RegoXchange Content for Clarity PPM (CA PPM).